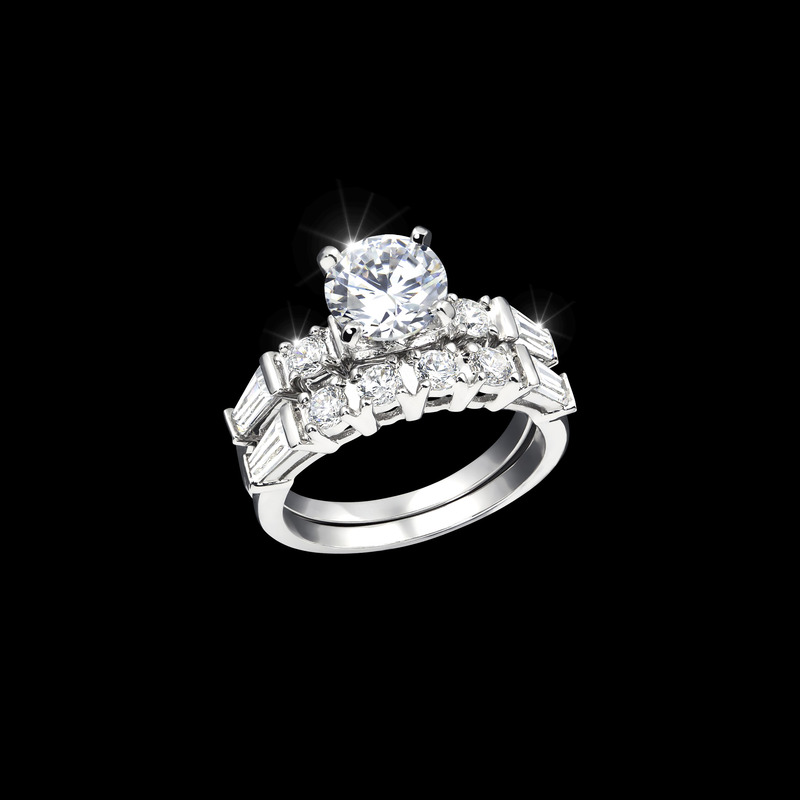 This beauty holds a classic 3 carat Brilliant-cut round Diamond-z4 center stone. The setting is hand set to maximize the beauty of this flawless gem. Accenting the center stone are round and tapered baguette stones, for a total carat weight of over 3 ¾ carats for the Solitaire ring alone. Matching band included.